Australia is a Lack Country NOT! Barnett Government your WRONG! Many people have asked “how do I make money online without spending a dime?”, Well I would not classify myself as an expert in this line, but many that I have come across are asking for money, which are generally are scammers and to our extent we lose a lot of money that we cannot afford too. I find that many other sites like People Per hour, Guru, Elance, O’desk, Vworker and freelancer, many of these that I have tried out, I have gotten nowhere in as my bidding always seem to high, and when I check to see who has won the project your tasks they seem to been given to Overseas people who are bidding from 050-1.00 for the project, but within Australia we would not be able to live on that due we are pretty expensive place to live. My background shows I have a lot of experience and Have studied heaps I also feel that studying is a waste of time, due to I have not landed that dream job, so you are studying (Please get Part-time or temp work). I think many companies should give us Australians ago. I come across an Article “The Barnett Government, want state jobs to go to India”. Well Guess what they are wrong about this as there are many Local WA personals who love to work in the Local Government section, but they have been getting knocked done for the work, Plus GUESS what I am one of those workers who have been knocked down for work for the Local Government. We have applied for way too many jobs, such as Administration roles to which may dismay, I got knocked down even though having the experience to be able to do such roles, But my question is if the job is getting send overseas isn’t that like working from home like running a small business from home, as if it is there is plenty of Parents would take this job on and would love the opportunity to work from home, who would be qualified to take on these types of work for Example : Virtual Assistants there are heaps in Australia, also maybe the government should start reassessing their values and think about Families who would love to work school hours and not the normal office hours 9 am- 5 pm. So my overall opinion it is hard both ways no matter what, all we can do is try and keep positive attitude to whatever way we decide and we can only trust our own instincts and the best practice is make sure you do your research on both Local work and Virtual work. Good luck with your endeavour’s we wish you all SUCCESS! This entry was posted in Administration, Opinions, Work and tagged society. This from another assignment that I had done whilst studying to become an Qualified Legal Secretary Course, I thought I might share with you all, this part of the assignment was about Public Mischief and mistaken identity, my answers are based on Western Australian Law. Part 1 of the assignment started with an Actual case called R vs. Manly. The facts of the case a Lady told a police that a man ( whom she describe) had struck her with his fist and stolen money from her purse. The police investigated the matter but it turned out that nothing of the sort had happened. She was convicted on the offence of affecting a public mischief and appealed against her conviction. At the time there was no such crime on the statute books. There were a couple of old decisions that a conspiracy to effect a public mischief was an offence, but conspiracy is an agreement and the law often treats as unlawful combination of people who agree to do something even though the same act done by an individual would have been lawful. No lawyer could have advised Mrs Manly in advance that she was committing an offence. The decision of the case that the indictment (Charge) aptly describes the two ingredients of public mischief or prejudice to the community, one of these being that the officers of the Police were led to devote their time and services to the investigation of an idle charge and the other being that of the public, or at any rate those of them who answered a certain description, were put in peril of suspicion and arrest. The question asked us to what the ratio of R vManly was? The ratio of this case was the Mrs Manly clearly set out to be a Public Mischief by deliberately accused an innocent person of a crime they did not commit. The facts of the case Mrs Jones is doing her shopping one day and she discovers her purse is missing from her bag. She remembers that a few minutes before she brushed against a man in the street, so she immediately reports that matter to the police describing the man and saying that she thinks he took her purse. The next day the store telephones her and tells her that she had left her purse on the counter. She tells the police who are very annoyed. She is subsequently charged and convicted of affecting a public mischief and fined one hundred dollars. She appeals and the case some before us. The assignment questions ask one the basis of the Ration in R v Manly, should Mrs Jones be convicted or acquitted? Give reasons for your decisions? If I was a judge Mrs Jones should be acquitted of the charge because under section 24 of the Criminal Code of Western Australia has clearly stated that a Person who omits to do an act on honest and reasonable mistaken of the existence of any state of things is not criminally responsible for the acts or omission’s to any extent then is of the real state of things that he or she had believed existed. As Mrs Jones has thought that the man who brisked past her earlier she had reasonably had thought that the man had actually stolen it. So overall in my opinion Mrs Jones should not be convicted of the Offence of being a Public Mischief. Facts of the case Mr Balfour was a civil servant who was stationed in Ceylon earlier this century. He and his wife returned to England when Mr Balfour went on leave. While in England, Mrs Balfour became so ill that she decided to stay in England rather than return to Ceylon with her husband. Mr Balfour told Mrs Balfour that he would pay her 30 pound each month during the time they were force to live a part, Mr Balfour then returned to Ceylon without Mrs Balfour. Mr Balfour made a few payments and then wrote to his wife suggesting that they remain separated. At the same time he refused to continue with the payments which they had agreed upon. Mrs Balfour was upset by this news and decided to use Mr Balfour for Breach of the agreement which they had made. Decisions the English court held that Mrs Balfour could not succeed in her actions against Mr Balfour because the arrangements was not contractual but merely a domestic arrangement between parties. The court said the husband and wife had not intended that their arrangement be bound by any legal consequences if there was a default. What general rule can you sat that Balfour’s case stands for? The general rule the Balfour case stands for is the law of contract in particular intention to create a legal relations agreement between family and domestic arrangement not contractual and not enforceable which is not legally binding. In another case of Merritt v. Merritt, the English court of Appeal, consisting of three judges, made a different decision. In this case the husband, Mr M, had left his wife for another woman. Mr and Mrs M reached an agreement under which Mr M was to pay Mrs M an amount of 40 pounds each month. Mrs M was to pay off the building society loan which had been take out by way of a mortgage over the matrimonial home which they owned. The house was actually in Mr M sole name and he agreed to transfer it to Mrs M name when the mortgage payments were completed. Mrs M paid of the balance of the mortgage, Mr M reduced his payments to her from 40 pounds per month to 25 pound month and then refused to transfer the house, so she took him too court and sued him for breach of the agreement which he had made with her. The court decision decided in Mrs M favour and distinguished Belfour’s case by saying that the Merritt’s did intend to create enforceable legal relations because they were in an amicable relationship such as that which existed between the Belfour’s when the Belfour’s made their agreement in the earlier case. What general principal can you say that Merritt’s case stand for? The general principal in Merritt’s case, it involved the law of Contract, as it was to create a Legal Intention, family domestic had legally separated which had made the agreement more legally binding. Fact Situation Mr R was a wealthy old man who lived in a very large house in Sydney. Mr R’s sister and her husband lived in England where the husband was a university lecturer. Mr R, who probably missed his sister’s company, persuaded her to come to Australia with her husband. Mr R promised his sister that he would provide her and her husband with a home and that he would leave his property to them both in his will if they did come out. The sister, Mrs W, and her husband sold their home in England and Mr W resigned from his lectureship. They did these things on the basis of Mr R’s promise and came to live with Mr R in Australia. Unfortunately the parties a quarrel arose between Mr and Mrs W and Mr R with the results that Mr R then sold the house and changed his will, leaving Mr and Mrs W out of it altogether. They were left out in the cold and they also were not pleased with the breach of the agreement. On the basis of the two cases of Balfour and Merritt, can you say whether Mrs W and her husband are likely to be able to enforce the agreement which they made with Mr R? Give reasons. The fact scenario involved the law of contract and in particular the intention to create a legally binding. The intention to create the legal relation is presumed not to exist if the agreement is of social and domestic nature, but this presumption can also be rebutted if one the parties had relied upon the agreement and suffered a significant loss. We have to assume in this case above that Mr R’s sister and husband had relied upon the promise of a home and property if they moved over to Australia to look after Mr R, which they had sold their Estate and belongings and he husband gave up his job. Within my View of this case is supported by Wakeling v Ripley (1951), where it has similar scenario to our current case in hand. But within this case the court had held that the strong evidence to rebut the presumptions regarding the domestic agreements that the parties intend to enter a contractual and enforceable contract, because of the Plaintiff’s consequences were so serious they had loss and because of the seriousness of the events the Plaintiff’s Mr Wipley was entitled to damages. So for the above reasons by conclusions to this case scenario in hand I would advise Mrs W and her husband they are likely to rebut the presumption and to be able to enforce the agreement made by her Brother Mr R, because of their significant loss of their belongings that they would be rewarded compensation of either the house and its contents or their brother to compensate their lost in a dollar value. “Then there is the doctrine of precedent, one of my favourite doctrines. I have managed to apply it at least once a year since I’ve been on the bench. The doctrine is that whenever you are faced with decisions, you always follow what the last person who was faced with the same decision did. It is a doctrine eminently suitable for a nation overwhelmingly populated by sheep. As the distinguished chemist, Cornford, said” The doctrine is based on theory that nothing should ever be done for the first time”. Within the above quotation the doctrine of precedent is where judges decide on cases coming before them, which is based upon past decisions. As Mr J. Murphy’s comment of the precedent, that he uses decisions of a past case to analyse a case that may come across in front of him, which the case may have similar facts and issues, where he can analyse a decisions to be submitted. This entry was posted in Legal System and tagged Cases, Judges, legal secretary course, politics, Precedent, public mischief, statute books. Do we have a better Democracy today then People who lived in England between the years of 1066-1898? This blog has come to me from one of my assignments whilst studying to become a Qualified Legal Secretary I cannot recall what article it was about the question was asking whether I agree with the author that the Legal System has developed to a stage that we have better degree of Democracy today than people who lived in England between the years of 1066-1898. Our law had come about in the results of the Norman Conquests of England, which had happened in 1066, where William Conqueror had introduced the Feudalism into England. As where the Kinds justices moved the countries had begun making Common decisions. Within this year the Tenants of chief had begun a new group in the Feudal system back then, where they were the new system owning the land. But in theory the King, which had granted interests to the Lords as his Tenants in return for some dues, where they sent the Knights to collect payments for taxes, owned on all the land. In 1254 when the National Assemblies had started where the King Henry needed money for his war expenses, is where he gained extra money, if it was agreed through the Countries, where it had happened to establish the Council of Parliament. In 1295 The British Parliament, was divided into three Representing Estates (Which known as the Houses of Parliament) back then they were called the Clergy, Barons and Burgess. The three houses of Parliament are now known as the Upper House, Lower House and The Senate. In the addition too what the author’s comments that we have more freedom and rights that we can enforce the legal system to our rights, but within the British the King and Queen had the power to own and enforce slaves to work on the Land. But in today’s society we have the choice to own our land or rent from someone else and if we want to make adjustments we need permissions to from the local governments. We also no longer have things such as Slaves; we have Employee’s to do certain jobs for us to pay them the right amount of under a law called Wages. Also I thought I might ask some else’s opinions on this subjects and this is what had come back in a reply, by Lab Manager and Cleaner,” We agree with the subject that we have a better democracy today, Cause a point they mention about women and man back then, was that males where allowed to go to school and work and whilst females where only allowed to rise a family (House wives) but in today’s society they are known as equals”. Admin assistant comment was “That it was a bit better back then, cause the only down pole today’s politicians is they seem to abuse the system and we are too over governed. Why is Statutory Interpretation Necessary? It is necessary, because it is where the States powers and duties, where provided for connected and incidental powers between the state and commonwealth parliament’s. So that the Commonwealth cannot make laws where it has no powers or conversely where the state of Western Australia legislation or the state strays into exclusive Federal Province. So overall the answer is that there lase where it applies to certain sections of both parliament’s where they cannot make laws where they are not supposed too, but if the states makes a law in close the commonwealth, the commonwealth will prevail over the state. This entry was posted in Administration. The difference between Proof and Evidence in a court process is that the evidence is a fact in an issue that can be established. The evidence can be presented to the court as an original document, such as “Bringing Evidence”, into a court process. But as where proof, in a court process is where you can obtain the proof to the evidence shown in court, such as an eyewitness say you buy the item brought to court. What is the difference between Burden of Proof and Standard Proof? The difference between Burden of proof are where the parties must prove the existence of the fact, where it is determined to leave presumptions and admissions to one side and that the facts must be proved before a party can rely on the substantive law. Standard of proof is the degree to which a party bearing the burden of proof must convince the jury or the court of the facts in the issue. The actual difference is that standard of proof is the facts in the issue and as where burden of proof is where a fact did or did not occur. Cross Examination and Examination in Chief How do they differ? They seek to establish his/her case by a means of eliciting information from either party, which is relevant to the facts, to in that can be a favour to their case. They also seek out to destroy or weaken the accuracy of either party’s witnesses in the evidence in chief. Where the examination in Chief has only a general prohibition on asking leading questions and attacking the witnesses as the creditability to the witness does not apply. The essential difference between the judge and jury in a trial process is that the role of the jury is to find the fact finding that they listen to the evidence of the facts that are presented by either party to weigh up the evidence and to decided what evidence is more convincing or not. As where the role of the judge is to listen to both parties” where they cannot be impartial to either side”. They listen to the evidence to the legal matter before them in court. But when the jury is presented within the case, the judge can address marks to the jury by giving instructions, which they refer to directions on the way, they should treat certain evidence given in a court. The judge also decides on the given sentence if the jury finds someone guilty. This entry was posted in Legal System and tagged Burden, Evidence, Judge, Jury, Proof, Standard. The Virtual Assistant Industry was started in NSW, since then it has expanded to a numerous states around Australia. Overall in Australia there are about average in ACT (0), NSW (50+), NT (3), QLD (30+), SA (8), Tasmania (4), Vic (20+) and WA (14). A virtual assistant is someone who works from home, like a home office, they deal with Administration for business who cannot afford to hire someone who is not trained. A Virtual Assistant is trained in many professional areas. What are the Benefits in Using a VA compared to Staff? The benefits in using a Virtual Assistant, is that you can have Legal Virtual Assistance as well as general administration assistants without needing to train new staff and be able to create new offices around the main area of your industry. With a Virtual Assistants you do not pay all the extras that come with hiring staff, all you pay is for the work we do, such as if we did 4 hours’ work, you pay for the 4 hours not like employee staff you pay for the whole 8 hours. Even when you are hiring from a Recruitment agency you are most likely paying between, $30-$65 per hour for hiring their staff. But for a Virtual Assistant in hiring one, they have fixed rates. So overall you are going paying the Virtual Assistant for the work they complete and nothing more such as Superannuation etc. that comes with hiring an Employee. How can I find a VA that has skills that I am after? There are a number of VA’s in Australia and around the world, you can have a look at the following sites http://www.kivelyoffice.net or Mills brook business services that are located in Western Australia or if in another state tryhttp://www.asecretary.com.au. You have a looked at the services pages of the Virtual Assistants on whether they have the skills necessary to help you out, or inquiry about their service and whether they can help you, alternative if they cannot help, they will have someone available to help you with the services you require to be done. As many Virtual Assistants have backup plans as well. This entry was posted in Administration and tagged Clerical, Secretarial, Sourceful, Virtual. Before we go into the difference between the rules we will explain what they all mean first. Literal Rule is where the judges interpret the legislation that the Parliament has used. “An example of this rule is a Law to Prohibit the Sale of NumChucks, where anyone who sells the items and gives that item to someone else commits an offence”. Such as A Police officer walks pasts a shop and finds one on the window, they take down the details of the shop and subsequently prosecuted for selling the illegal Numchucks. Is where the courts adopt a meaning that reflects the purpose of the legislation. This not an Exclusive purpose of the law and it is not an easy one. 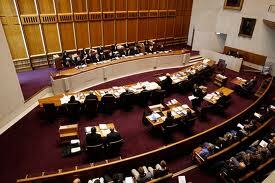 The in consistence often arises because of parliament amends the provisions from the act. An example of Golden Rule is in a case called Inland Revenue Commissioner’s v Hinchy ( 1960) as where the tax act stated if the taxpayer submitted inaccurate tax return the taxpayer would be penalised to the extent of” Treble the tax ought to have been paid”, overall the taxpayer said that the policy of this law was to prevent underpayment of tax. It is where a Statute assumes to pass an order to overcome some certain defects in the common law. As where the Courts must identify the defect and were they need to interpret the legislation as having an intended problem to overcome that certain problem. An example of this rule is in the case of Heydan’s Case (1584) 3 Co.Rep 7 a; 76 E.R. 637: Similar case of this approach was given in Smith v Hughes (1960) IW.L.R at 830. It deals with the Street Offences Act, where it states that the common Prostitute to loiter of solicit in a street for the Purpose of Prostitution, where a Street indicated that it was a place and not a person. The overall case was to deal with cleaning up the streets, for people to walk along the streets without being molested or solicited by prostitutes. The prostitute would be penalised and arrested and would be found guilty of the offence, if they were to be soliciting in the streets. The difference between the above is the generally the courts are abound to take the literal rule approach to the legislation, but it is possible to do so to depart from this approach, where significant reason why they should, where they can use the Golden Approach and Mischief rile. Overall the difference is that the literal approach is the interpretation of legislation applies the general rule that a court is bound by the words within the statute, but as where the two others are concerned they are the Golden Rule approach comes in when the Judge reluctant to use this approach by using phrases of the interpretation and where the Mischief approach is where the courts use words and phrases are ambiguous or are uncertain for some other reasons, this rule come in where there is uncertainty in a case. This entry was posted in Legal System and tagged literal approach, literal rule, mischief rule, numchucks, purpose of the law, revenue commissioner, Rule. This Blog is mainly about the Small Claims Tribunals where they resolve disputes between Consumers and traders about sale, Supply or hires of goods and services. These courts deal with the amount in disputes must be less than $6,000. This is heard before a referee who is a legal practitioner. The other court that we will be discussing is the Courts of Petty Sessions. Also known as The magistrate and Summary courts in some states, it deals with criminal matters of less serious nature ( for instance petty theft or disorderly behaviour) and refers more serious offences to the Districts and Supreme courts. Courts of Petty Sessions: Less Serious Offences, Criminal OffencesSmall Claims Tribunal: Disputes between Consumers and Traders. Before anyone attends Court the accused needs to be arrested but within the Courts of petty session’s people do not need to be arrested and they are just severed with a Summons, requiring them to attend the Courts of Petty Sessions on a particular charged outlined in the summons. The accused person is accompanied by the police to the police station, before the above happens. The accused person is taken into an interview room, as where they will be questioned about the allegations. Then they are told about the nature of the matter and held in custody, while the Police attend to the evidence and paperwork details they have been done. But where there has been a complaint has been made about a person not arrested. They are taken into custody where the summons is generally delivered to the door of the accused. After theses process the Defendant (Accused) is called to appear in Court, where the accused person pleads guilty or not guilty to the imposed allegations they have been charged with. Then the Magistrate will sum up all the evidence, facts and then delivers a verdict. Which might not happen in later date? The Magistrate’s details and penalties are final. These costs are based on an estimate from an assignment. Before the claims goes to the Small Claims Tribunal, usually a consumer will complain about the services or goods they have received from the trader. But if they cannot be satisfied they can obtain another approach, which is to seek assistance of the Department of Consumer Protection. If failing satisfaction at this stage, a claim can be made or lodged with the Small Claims Tribunal, which can resolve a claim less than $6,000. Once above is done the registrar will arrange a time and place for the hearing, where they will be advised. Normally you would attend the hearing yourself and conduct your own case. The proceedings before tribunal will usually involve three Referees, you and the trader or if the trader is a company, its representatives. The referee’s, decisions will be binding and final within all concerned. Make an order that requires party to proceedings before it other then claimant to pay to a person specified in the order. An order that requires a party to the proceedings other than the claimant before it to perform work to rectify a defect in goods and services to which a claim in the proceedings relates. In case where a consumer is claiming from relief of payment money( A): an order that money in an amount specified is not due or owing by the claimant, to a person specified in the order,(B) A requires the Claimant to pay money to a person specified in the order. An order dismissing the claims to which proceedings relates. This entry was posted in Legal System and tagged courts, criminal, simple, Sourceful.